Pie of the Week: Blueberry! 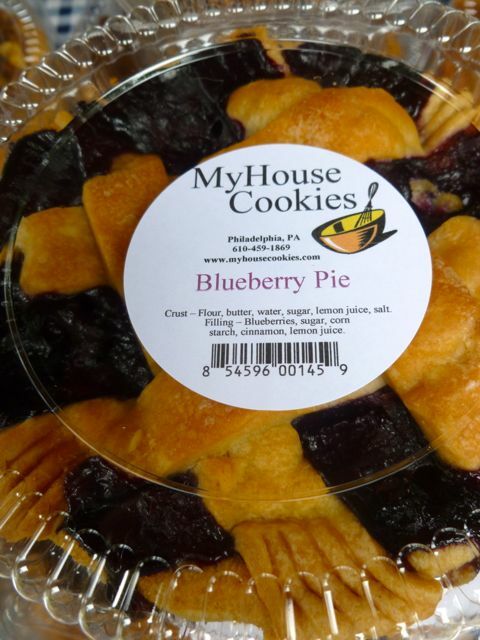 Nothing says summer like a blueberry pie! This is a very simple pie to make and so tasty - no fussy ingredients, just big, juicy blueberries, sugar, flour, lemon zest - all tossed together to make the filling. Toss it all together and you're ready to assemble the pie. This is a lattice topped pie - so pretty! You'll need a batch of pie dough, or pate brisee, at the ready. Roll out one half of the dough to line the bottom of a 9 inch pie plate, keeping a 1 inch overhang. Refrigerate for about 30 minutes to firm up the butter. Fill the crust with the prepared blueberry filling. Now, roll out the other half of the dough into a circle, about 1/4 inch thick. Cut your lattice strips - I like to use a pizza cutter to do this, but a knife will work fine. For this pie I decided to make a wide lattice. This is the fun step - just weave the lattice to make a pretty top! Once the lattice is in place, trim the excess and crimp the crust to make a pretty edge. Brush the lattice and crimped edge with milk, then sprinkle with granulated sugar. The pie is now ready for the oven - 375 degrees for 50 minutes. And voile! So easy I made 2 (the recipe makes one)!